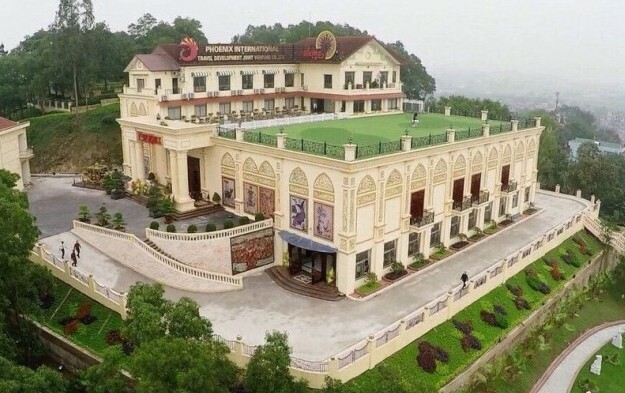 Australia-listed gaming operator Silver Heritage Group Ltd is to get US$5.25 million in compensation from a former business partner in Vietnam following the closure on March 1 of all casino operations at the Phoenix International Club (pictured) near Hanoi, after the local partner was unable to maintain the relevant licence. “As a result of breaches by the owner of Phoenix of the entertainment services agreement [signed with Silver Heritage], primarily the requirement to maintain the gaming licence that allows the operation of gaming activities at Phoenix, [Silver Heritage] has negotiated a settlement agreement with the owner of Phoenix, whereby, inter alia, the company will be paid the sum of US$5.25 million in compensation in full and final settlement of all claims and rights either party may have in relation to the entertainment services agreement,” Silver Heritage said in a filing on Tuesday. The company explained that the compensation amount reflected circa two years of expected earnings before interest, taxation, depreciation and amortisation contributions from Phoenix to Silver Heritage. Silver Heritage stated that the US$5.25-million compensation would be payable over two separate instalments, namely on March 12 – which has been paid – and April 11. “The company is of the view that the terms of the settlement, including the termination of the entertainment services agreement, are generally favourable having regard to all circumstances, including but not limited to the recent underperformance of Phoenix, the breaches of the entertainment services agreement by the owner of Phoenix, the uncertainty in relation to the ability for the investment certificate issued to Phoenix to be amended to reallow by law the operation of table games on the premises, and the recent closure by the owner of Phoenix of its casino on March 1,” Silver Heritage said. The casino operations at Phoenix represented approximately 45 percent of Silver Heritage’s unaudited revenue in full-year 2018, according to the firm. But in late January, the company pointed out that revenue from its casino operations at Phoenix were “below budget expectations”. The firm told the Australian exchange at the time that the weakness of the trading performance of its casino at Phoenix had continued in the fourth quarter and was persisting in the first month of 2019. Following the termination of the agreement with the owners of Phoenix, Silver Heritage “will cease operations in Vietnam,” the company stated in its Tuesday release. Silver Heritage also operates the purpose-built flagship casino property Tiger Palace Resort Bhairahawa – a Nepal property near the country’s border with the Indian state of Uttar Pradesh – and manages a gaming operation at a hotel in the Nepalese capital Kathmandu. The boutique casino operator reported in September a financial first-half loss – after providing for income tax and non-controlling interest – of just under US$9.94 million, compared to US$3.52 million in the prior-year period. Phoenix International’s first-half revenue amounted to just under US$5.93 million, the firm said at the time.